For a truly memorable experience in Rome that will last a lifetime, visit Vatican City and take part in a Papal Audience at St. Peter's Square or Basilica. Enjoy a brief city tour as you prepare for your encounter with the head of the Roman Catholic Church. Only possible on the five Sundays in August, you have the opportunity to be part of a Papal Blessing at the Pope's summer residence - Castelgandolfo. This is a privileged opportunity to be part of a Catholic rite and listen to the words the Pope uses to address the faithful. This tour is seasonal and operates from July 29 to August 27 only! 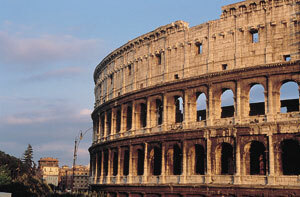 A trip to Rome is not complete until you have visited the Vatican Museums and Sistine Chapel. Marvel at the beauty of the magnificent fresco of the Last Judgement by Michelangelo, along with works by Botticelli, Perugino and Rossellini. Special Offer - Price displayed currently includes more than 10% off the regular retail price - BOOK NOW! Based on a novel by The Da Vinci Code author Dan Brown, your Angels and Demons Walking Tour will help you discover the Illuminati and their secrets, while seeing some of Rome's most famous sites, such as the Pantheon, Piazza del Popolo and Castel Sant' Angelo.